Smallholder farmers in the Upper East Region consider it normal to have hunger seasons of five months. When asked how many meals they typically eat every month, they responded with ‘two’ or ‘one’ for the months of March until June. They also considered it normal, however, to start harvesting early crops such as early millet from July onwards. This year, this is not the case. 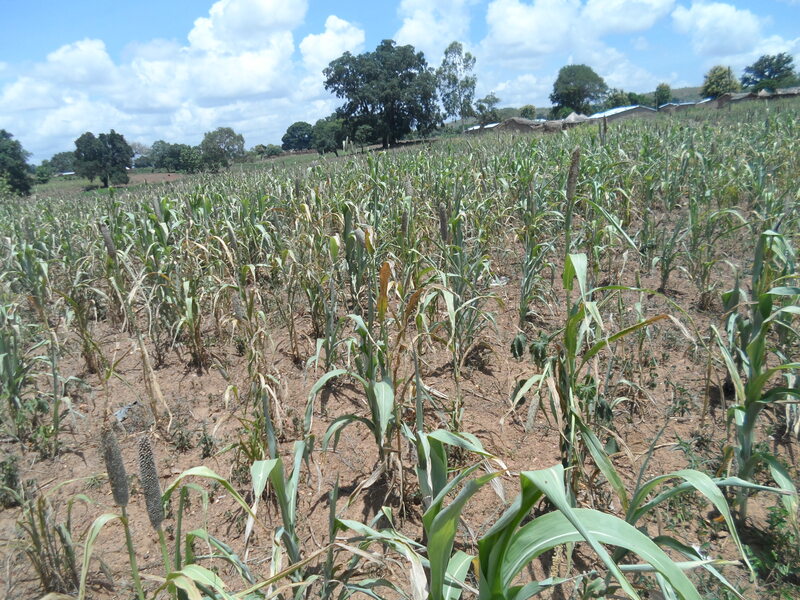 Today, many farmers are still not able to take three meals a day, because the late start of the rains caused the a great part of the early millet cultivation to be deplorable. This has very severe consequences. An obvious effect is the rocketing of food prices. At this time last year, a bowl of early millet, the main staple in the Upper East Region, cost 1.50 GHC at the Pelungu market. Presently it costs 7.50 GHC. This is an increase of 500%. Most millet found at the market is from last year’s harvest. Another effect of the late onset of the rains is that farmers were hesitant to plant such things as rice and groundnut, which are normally harvested around October. They were constantly waiting for more consistent rain to come, and many ended up not planting any of these crops at all. This means another gap in their income. These factors are likely to contribute to people harvesting their sorghum, late millet and other crops prematurely. By the time they are supposed to mature, by October, November, people have endured eight to nine months of hunger. Trax is working hard to combat these disastrous effects. Past experience has shown that yields increase by 106% on average in two to four years after farmers have adopted contour terracing, composting, tree-growing and the application of farm-yard manure. Apart from these agronomic methods, Trax also introduced an early-maturing and drought-resistant crop: The Orange Fleshed Sweet Potato production looks promising and is expected to break the hunger season. Moreover, Trax farmers are benefitting from off-farm incomes such as the rice-parboiling business of Mrs Tabii Tii, the veterinary services of Mr Isaiah.